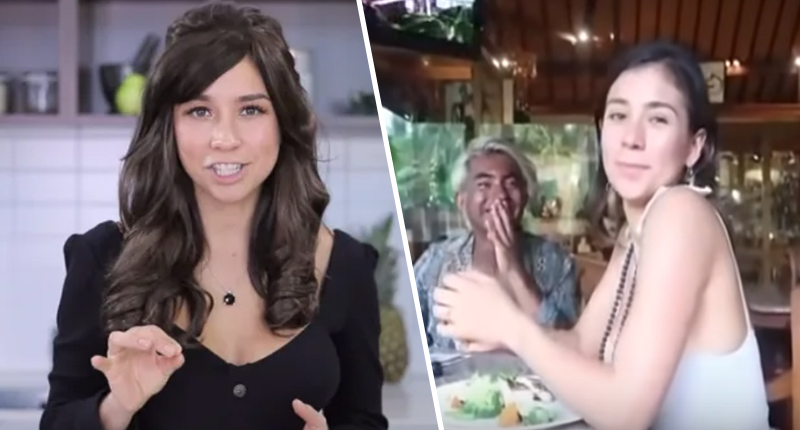 A YouTuber embroiled in controversy surrounding her diet has had to explain her decision to eat meat, after promoting a vegan lifestyle. In case you missed it Yovana Mendoza, aka the famous YouTuber Rawvana who built up a following among the vegan community for her lifestyle choices, was caught on camera eating a plate of fish. While you might think the so-called incident wouldn’t cause too much controversy among those who value freedom of choice, the YouTuber has been inundated with negativity. She’s since spoke to BuzzFeed News to say her ‘intentions are and always have been good’ and was simply was not ready to go public about her dietary change at the time she was exposed. I’m listening to my body and learning to adapt to eat without self-judgment towards myself and others. It makes me sad to see so much hate on the internet. Apparently, Mendoza had dealt with a number of health issues while on a raw vegan diet. But doctors told her she had small intestinal bacterial overgrowth (SIBO), and she said they recommended she amend her diet to include eggs and meat. So, two months ago, she began eating eggs and fish again and her overall health improved, she claimed. But critics have said Mendoza has continued to promote and financially gain from a vegan lifestyle since, when asked why she did so, the online personality said she ‘still advocates’ for a vegan lifestyle. Although some have put many words in my mouth and made numerous assumptions and accusations, I never said that a plant-based diet caused me to have SIBO. This lifestyle transformed my life in so many positive ways, health included, for years. I do feel this diet has incredible benefits, and the vegan lifestyle brings a greater awareness to the way we live our life that we can all learn from and grow. Mendoza concluded by saying she’ll share her ‘recover journey with the public’ with the public including ‘the good, the bad, the doubts, and everything in between’.